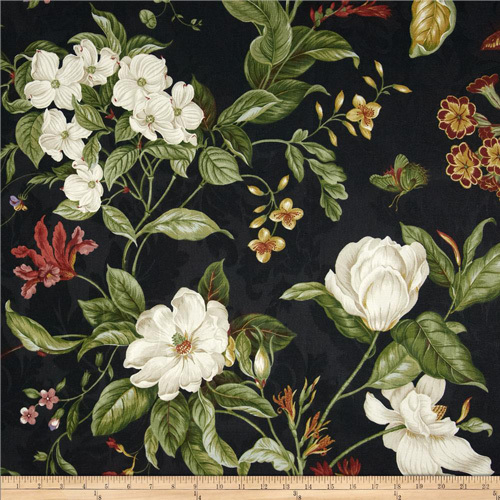 Waverly Garden Images in the black colorway. 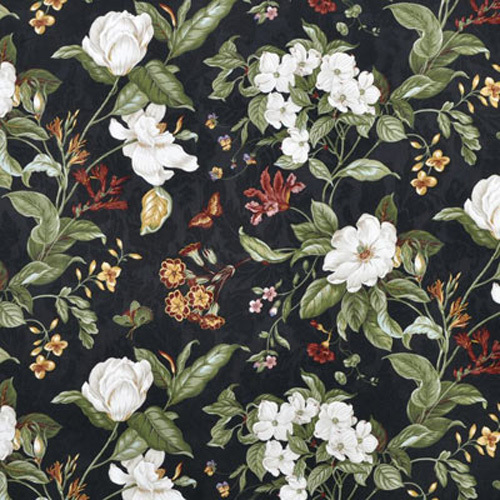 Large scale floral print with blossoms in white, light gray shadowing, gold, shades of mauve, red, periwinkle and green. All on a black lightly textured background. Suitable for drapery, decorative pillow covers, headboards or other home decorating applications.